Gratefully, that's about to change. And I have Del McCoury to thank for it. The 5th annual DelFest, in Cumberland, Maryland brings with it yet another fabulous cross-section of whats new and what's still revered and traditional in Bluegrass. 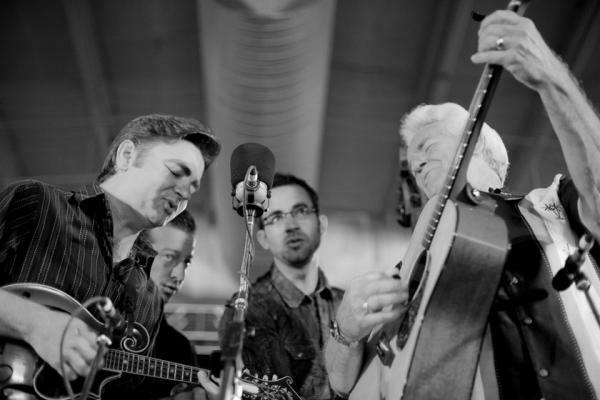 I've written about Mr. McCoury a few times before.. I've brought my family to every DelFest since its' inception. The lineup never fails to introduce me to either a heritage performer I've not seen yet, or a new band that blows me away by surprise. And if you've read my thoughts on this festival before, you know I attribute that creative balance of sound to Del, himself. It would appear that Mr. McCoury sees equal value in the old and the new, and sees no reason for them not to consort with each other. It makes for a great festival, I tell ya. It's hard to know where to start on this year's lineup. I surely can't discuss them all. With performances by The Del McCoury Band each of the 4 days as an anchor; I do find my excitement for specific artists spiking around a few others, too. Thurday's lineup also includes Split Lip Rayfield and closing the evening -- Railroad Earth.. However, my interest is piqued by The Devil Makes Three, playing earlier in the day. Described as a 'punky perspective on vintage American Blues,' they are a drummer-less ensemble, also intriguing. I've never seen them, before. 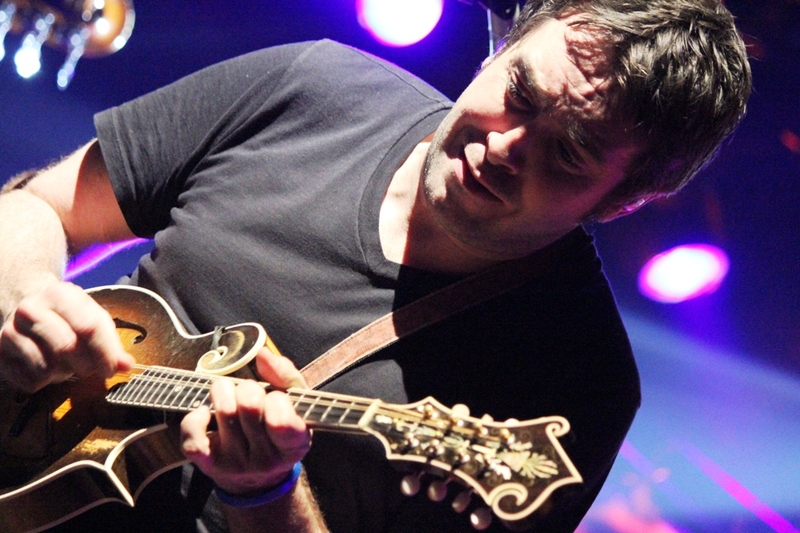 Yonder Mountain String Band closes the evening on Friday at the Grandstand Stage. 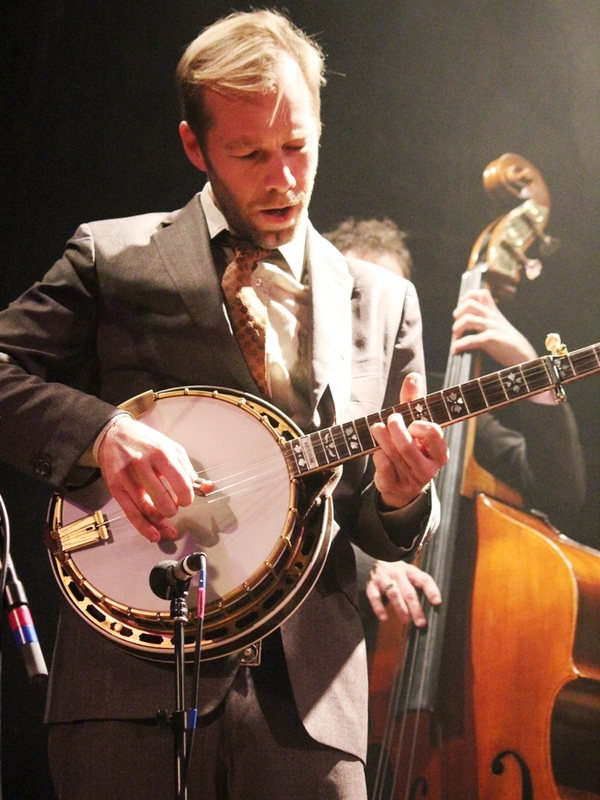 The Bluegrass Band Competition finalists will begin to take their turns at The Potomac Stage, throughout the weekend, before one band is crowned winner. Additional performances at the Potomac include Birds of Chicago, who I have never heard of, until researching this story. Gorgeous vocals, where they say 'you’ll hear echoes of mountain gospel, street corner doo-wop, classic soul. Accompanied by just a banjo and a guitar, it’s chilling. Fired by a full band, it’s a full tilt revival.' I am not sure if they are backed by a band or just a duo for their DelFest appearance.. But after watching a few clips -- I plan to be there, regardless. Saturday's headliner, Leftover Salmon, should likely bring some fun sit-ins by other artists. Keller Williams, performing just beforehand, seems inevitable. Another interesting ensemble in Saturday's lineup that I've not yet seen perform is Luther Dickinson and The Wandering. In fact they will grace both stages over the course of the festival. I couldn't find any recording of them to sample. But I surely know Mr. Dickinson's musical pedigree. The DelFest site describes the group as 'a collection of diverse musicians hailing from parts of Mississippi and Tennessee. Their debut album entitled Go On You Can’t Stay Here will be released on May 8th. Sunday brings the winner of the Bluegrass Band Competition on the Grandstand Stage early in the day. Later, things heat up a bit more by my estimation, starting with Bela Fleck and Sam Bush. Steve Martin and The Steep Canyon Rangers lead into a finale that's sure to include special guests, with Del McCoury and The Preservation Hall Jazz Band. I mean Really.. Could you divine of a more interesting group of bluegrass artists on the same stage during the same festival? And there are other activities in addition to the music. The DelFest Academy is held the week before the festival, where attendees are led in a 3 day intensive workshop in their instrument, by some of the finest bluegrass musicians performing today. Festival weekend itself, check out the Artists' Playshops peppered throughout the schedule for an even more intimate chance to hear your favorite artists. Parents have a Kids Zone area to check out. Activities in the Art Bus, Various games and activities left out in the pavilion area, stream [bug] workshops, hula hooping and a Kid's Parade should help parents entertain their kids, as well as enjoy the music. Also of note is the on-site toy train museum that all attendees are free to visit while at the festival. [They do accept small donations.] Did I mention it's AIRCONDITIONED? DelFest is a great festival, at a size that's manageable, but still fun. Nice cross-section of vending, even some that are 24 hour. If you are on the fence about this one, I'd jump over to Maryland this Memorial Day Weekend.. You won't regret it..